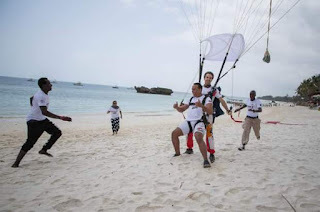 The ever busy tourism Cabinet Secretary Hon. 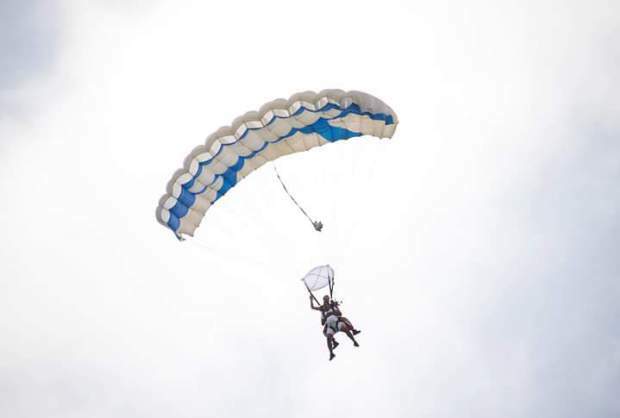 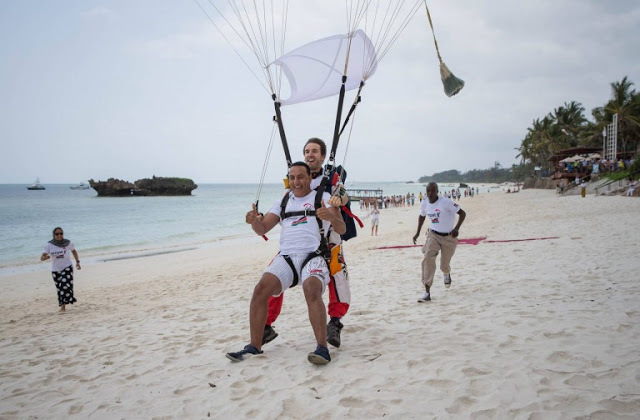 Najib Balala over the weekend made global headlines after he jumped from a plane at a height of approximately 11,000 feet to make a perfect landing on the white sandy beaches of Watamu. 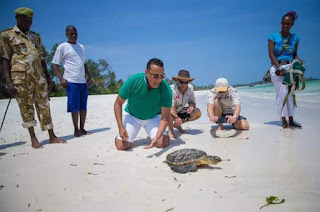 The CS’s move was meant to encourage local and international tourism with special emphasis on the varied activities that tourists can engage in when they visit different attractions sites across the country. 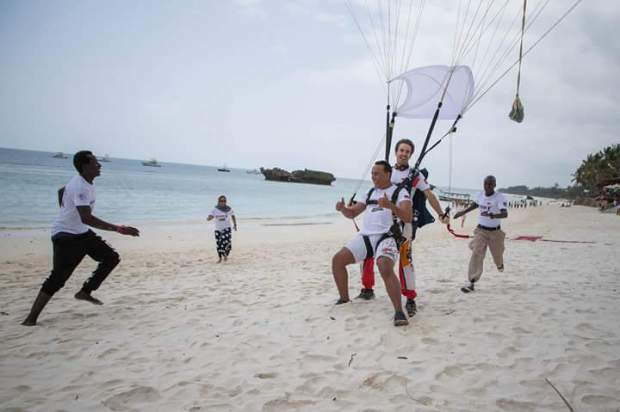 Apart from his unique stunt, Najib also released a rehabilitated turtle back to the ocean. 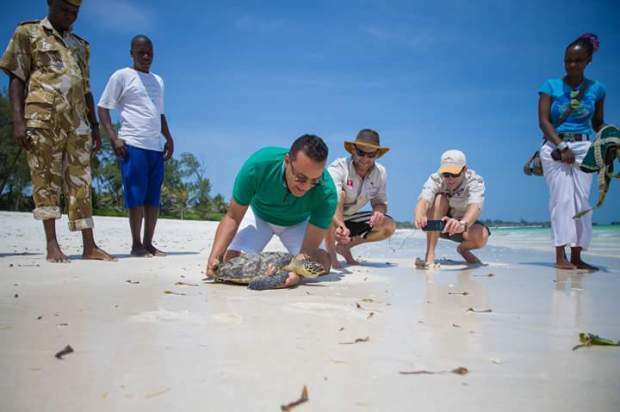 The sea creature is fitted with a unique camera that allowed viewers from across the world to experience Kenya’s beautiful coastline streamed live for the first time through their mobile phones, tablets or computers. Through Periscope, a live-streaming video app that can be downloaded, the CS via the @MakeItKenya campaign and in collaboration with @HerdTracker successfully aired the first ever live underwater pictures of a turtle swimming along the Watamu reef. The amazingly, captivative ‘turtle-video’, which is still available online, has attracted a lot of positive feedback from across the globe.